This is the real Deja Vu! You have already see these areas. So, just try to collect all the useful things and explore this territory. Are you ready for such a challenging game? Then do not waste your time and play it! We wish you good luck here. Do you have a good memory? Then just try this game and show everyone that you are really cool! Just move through the areas and try to collect all the useful things. This is a single level maze-like memory game. 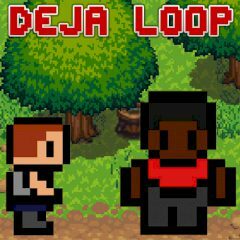 It is Deja Vu as you are trapped in the woods, and in order to escape the looping terrain you must find, and collect, the items in the area that have changed position. Is everything clear? So, the only one advice to you is not to waste your time and explore this area. Enjoy the game and have much fun.